Every year you can count on certain Christmas traditions: Christmas trees will be put up, and kids will leave cookies out for Santa on the 24th. But for many people the hassle of dealing with a real Christmas tree just doesn’t feel worth it. 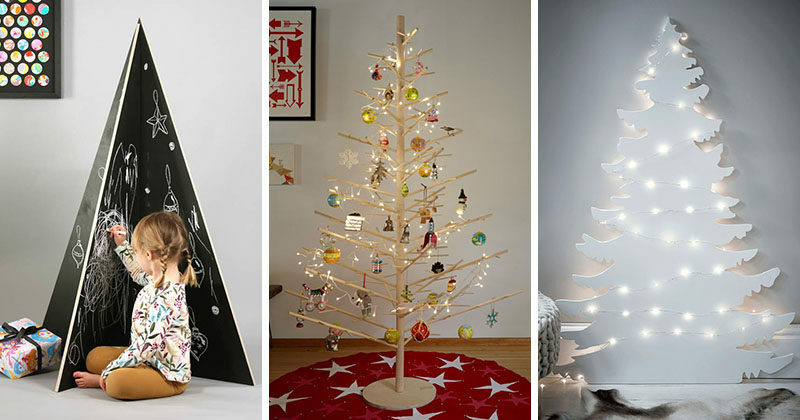 If you’re ready to leave the real tree behind and change it up this year, here’s a list of 12 alternative modern Christmas trees that will stand out and leave your house clean at the end of the season. 1. 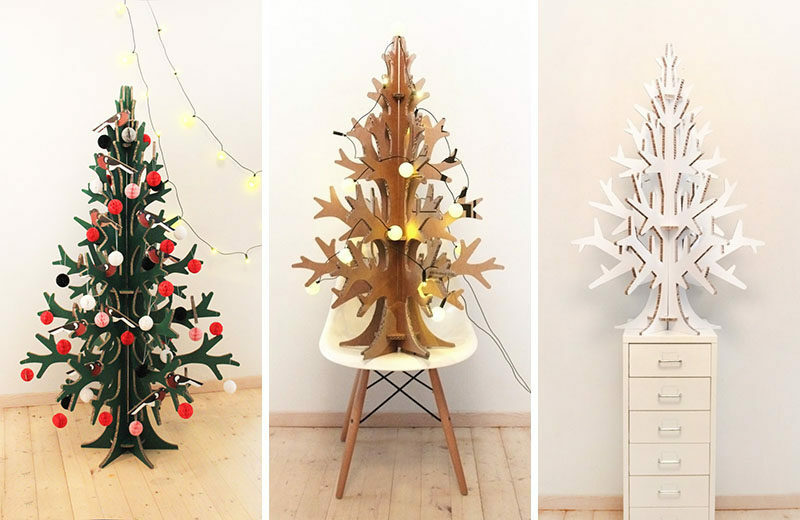 These laser-cut cardboard trees come in multiple sizes and colors. 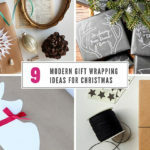 They’re environmentally friendly and can be stored flat to be used year after year. 2. 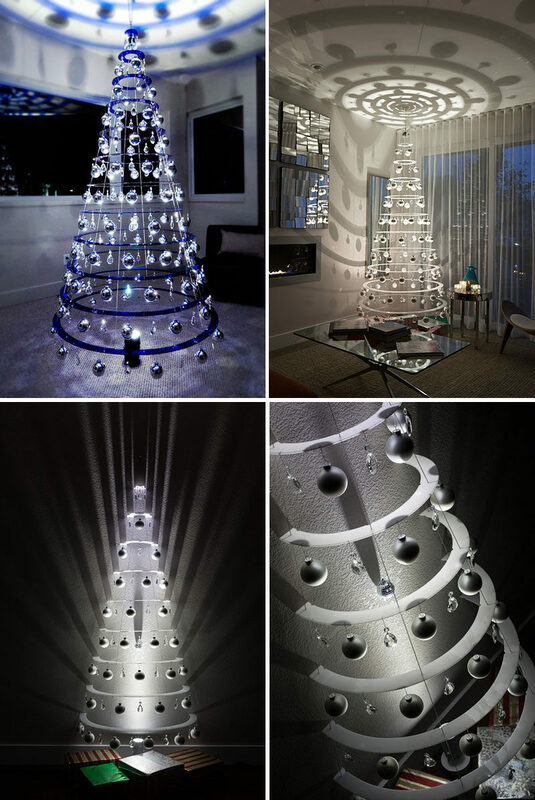 Rather than stringing lights all over your tree only to discover half of them don’t work, go for a tree that comes with lights built right into it. 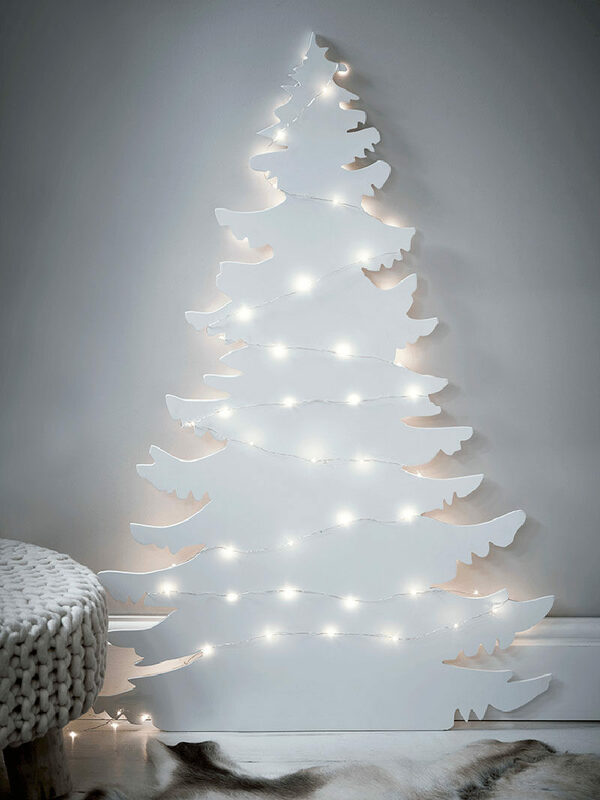 4 ft. Pre-Lit LED Snowy Brown Artificial Christmas Tree by Martha Stewart – available at Home Depot. 3. 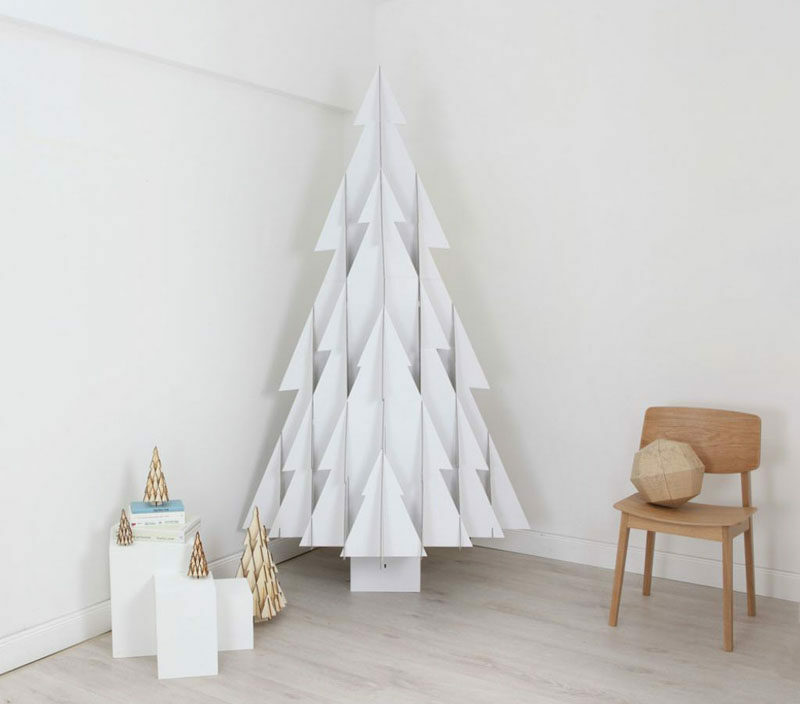 These cardboard trees are flat on one side so you can lean them up against the wall to save space in small houses or rooms. 4. 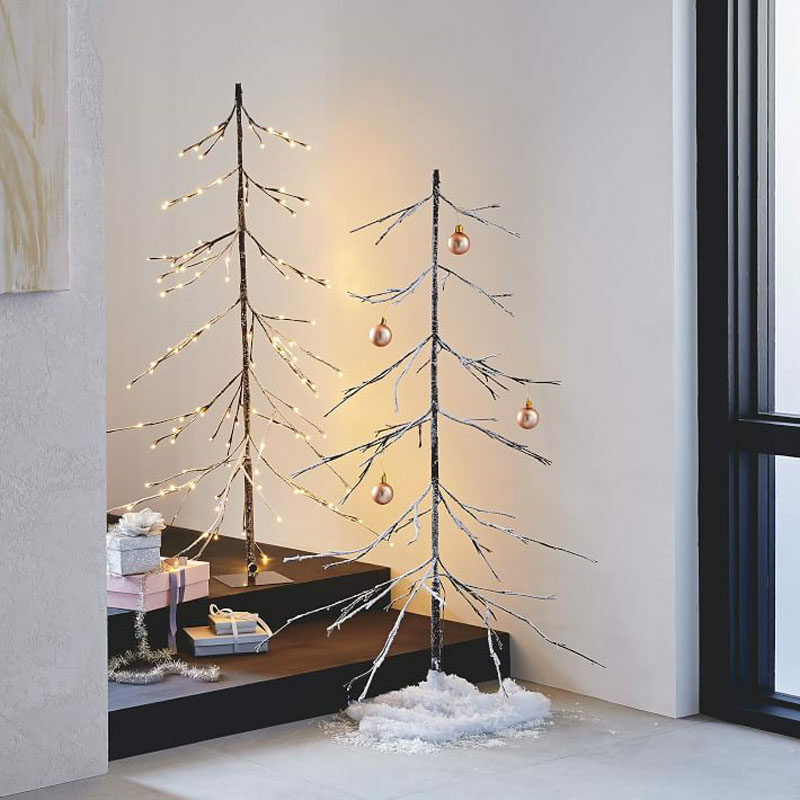 Skinny trees with down-swept branches are perfect for creating a Scandinavian feel in your house and are small enough for apartments or tiny homes. 5. 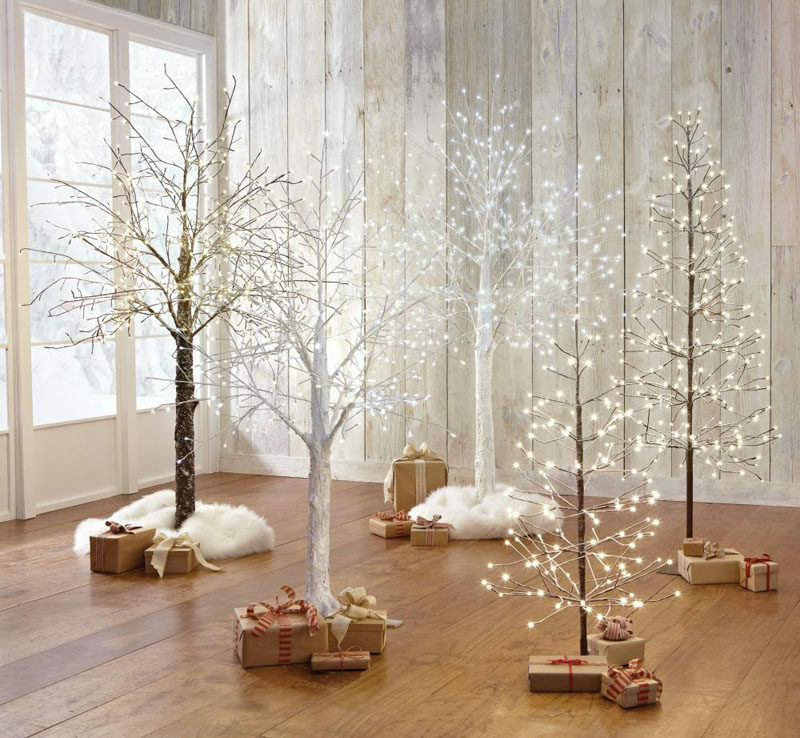 These wooden trees have their branches perfectly spaced out to ensure that ornaments have enough room to stand out and keep the tree from looking overdone. 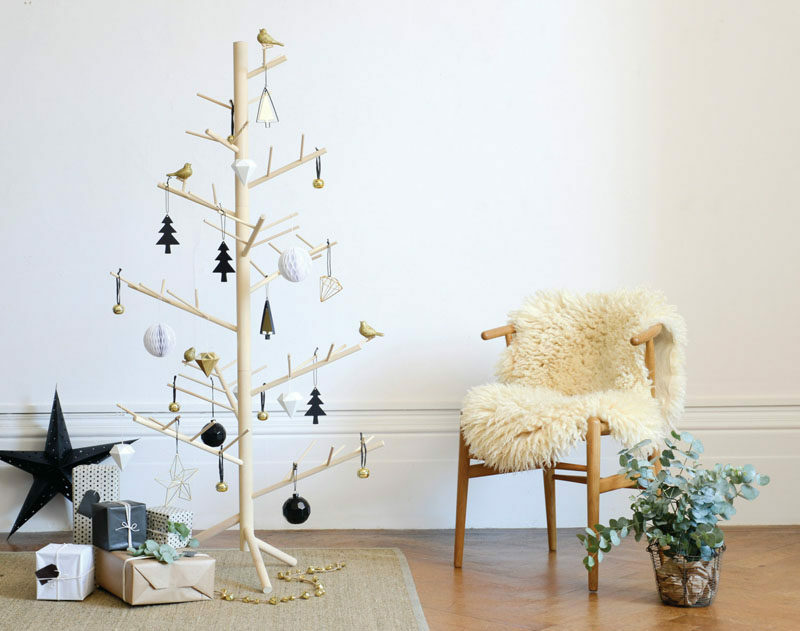 Minimal Wood Christmas Tree by ReTreeJoy. 6. 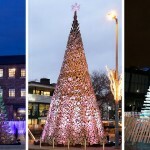 The branches of these trees can be spun around to create a bunch of different looks. 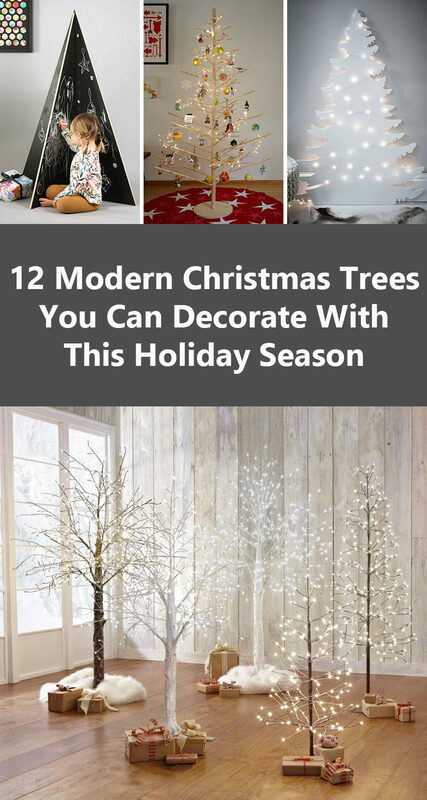 Spread them out like they are here for a simple tree look, keep all the branches going the same way to create a flat tree, or fan them out to create a spiral effect. 7. 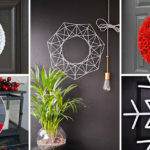 If you’re tight for space but have room on your walls, a vinyl sticker might be all you need to create the feeling of Christmas without it taking over your space. 8. 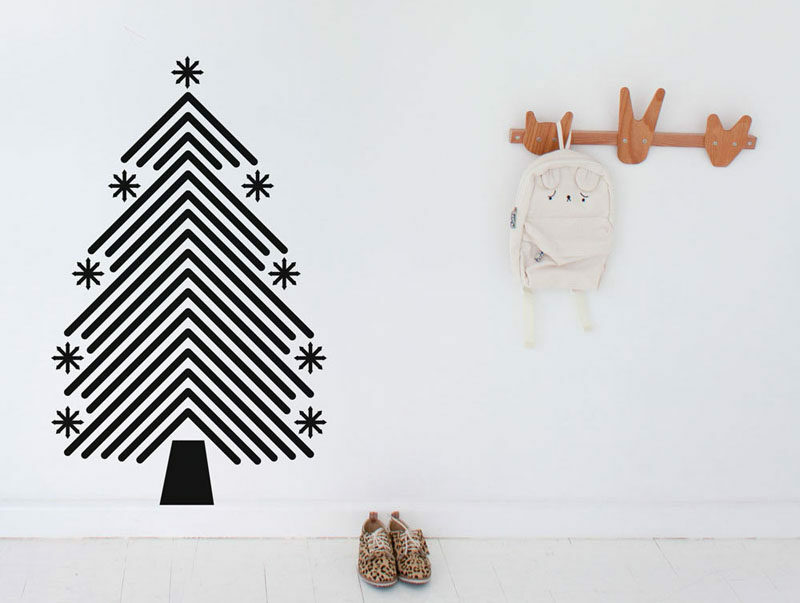 This tree silhouette is a clean, simple Christmas tree alternative that hardly takes up any space at all. 9. 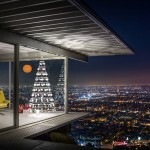 These modern hanging Christmas trees come in multiple styles to fit into any room. 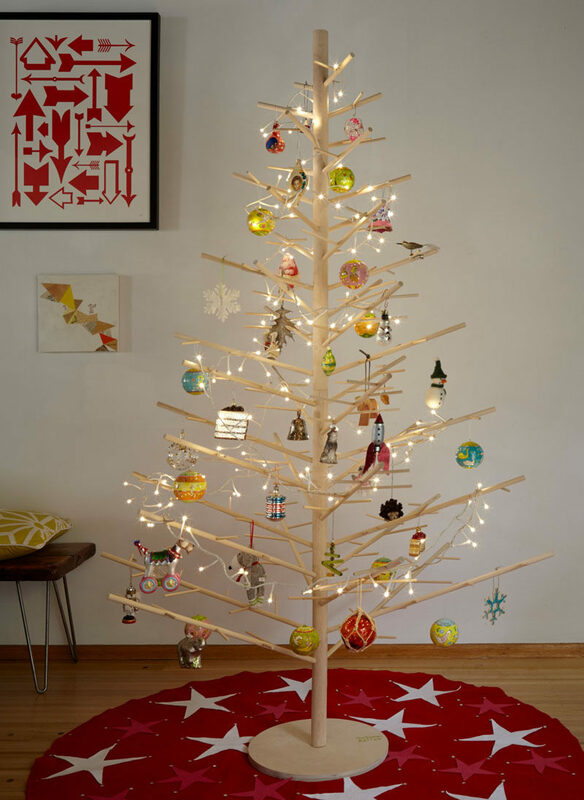 If you have lots of space to spare, a full tree will take up just the right amount of room. If you don’t have a lot of extra space, a half tree that sits against your wall will add just enough tree to make it feel like Christmas. 10. 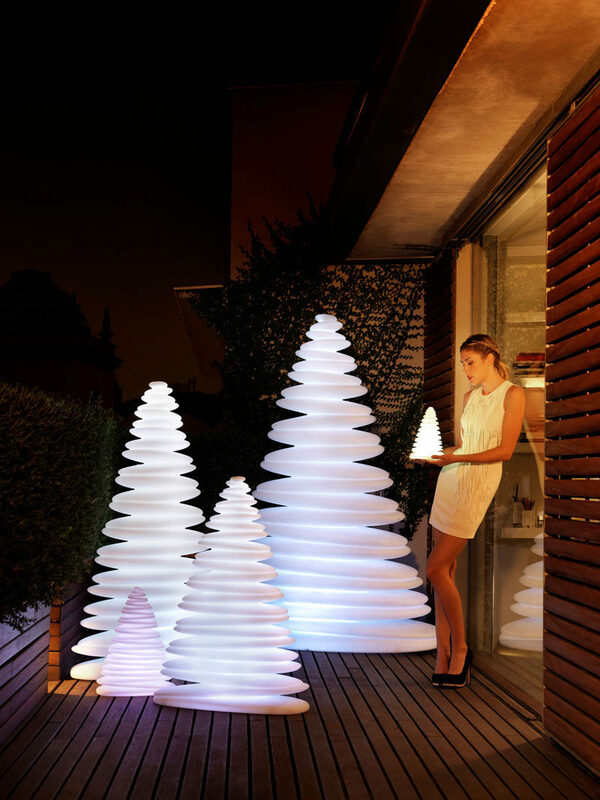 Make your Christmas merry and extra bright with these illuminated trees that give off a soft white glow when they’re turned on. 11. 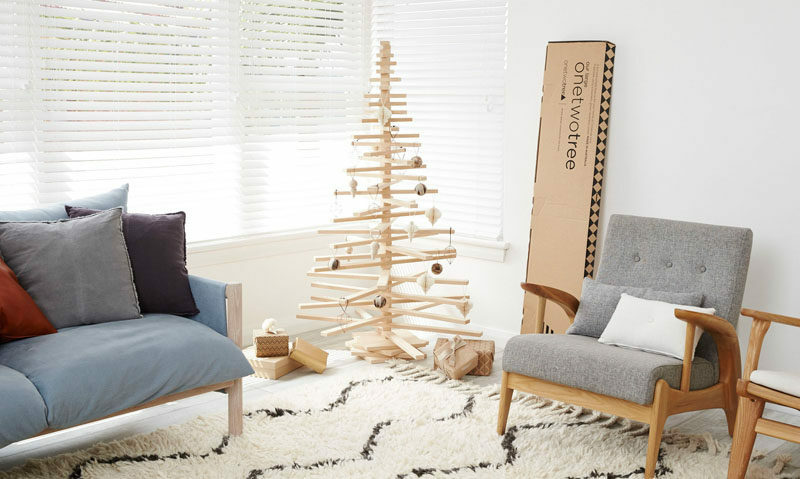 A minimal Scandinavian inspired wood tree like this one is all you need to create a simple festive feel in a small space. 12. 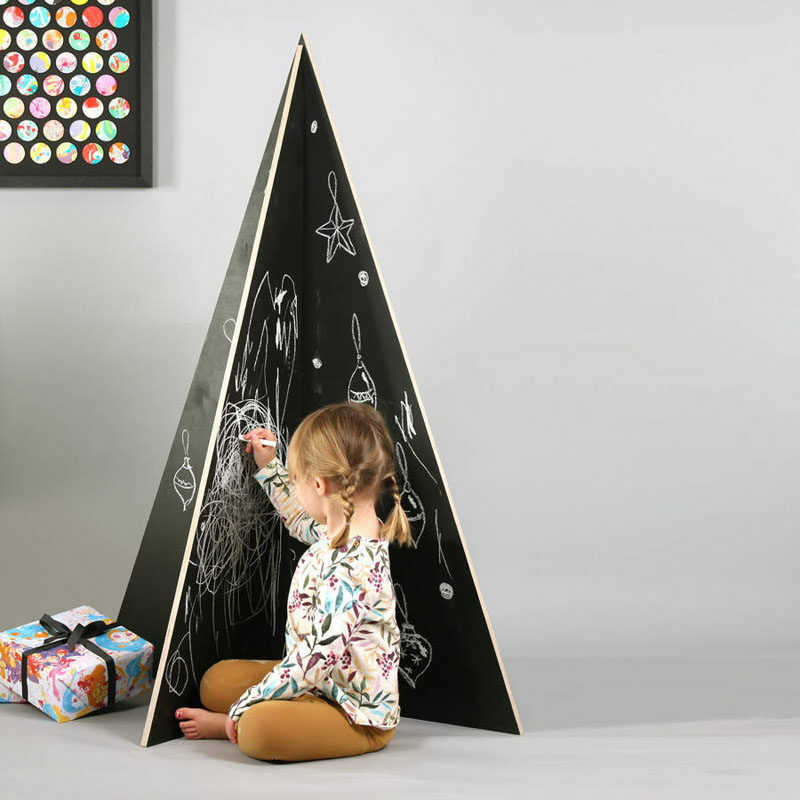 This chalkboard tree would be perfect in a playroom or kids room. Use colored chalk to create a classy black and white look or use colored chalk to make your tree brighter and more lively.